Orthotics (shoe inserts) help to correct foot function. These are becoming more widely used, especially as some types are advertised in the Sunday papers or at local pharmacists. However as with all medical problems, care must be taken with self-diagnosis and self-prescription as minor problems can be made much worse. 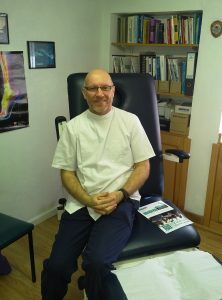 If you have a foot problem, see a Foot Specialist (Podiatrist) to at least provide an accurate diagnosis and guide you towards resolution with the correct prescription and treatment plan. There are several causes of pain in the ball of the foot. Sometimes it can simply be just a corn or callous causing the problem, but often it is something deeper in the foot, frequently labelled as metatarsalgia or even arthritis by Doctors. However, some of the more common causes are intermetatarsal neuralgia (trapped nerve), neuroma (lump of nerve tissue), bursitis (a deep fluid-filled sac like a blister), capsulitis (inflamed joint), stress fracture (an overuse injury of the bone), plantar plate tear, or a loss of fibro-fatty padding (cushioning). All of these conditions need expert treatment by a Podiatrist after an assessment to establish an accurate diagnosis. However, they will generally be improved in the short-term by wearing roomy, lace-up, cushion-soled, supportive, footwear such as trainers.